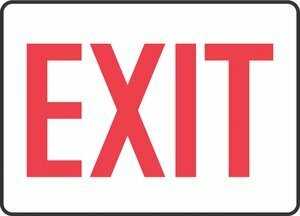 10''Hx14''W Red/White Aluminum EXIT Wall Mount Admittance & Exit Sign by ACCUFORM SIGNS at UCBC Group. Hurry! Limited time offer. Offer valid only while supplies last. View More In Lighted Exit Signs.